Identifying your customers is essential for your business. But this is only the first step. The real business acumen is to enter your customers' minds. Is there any way to get the insight into your customers' minds? The answer is a big resounding yes. 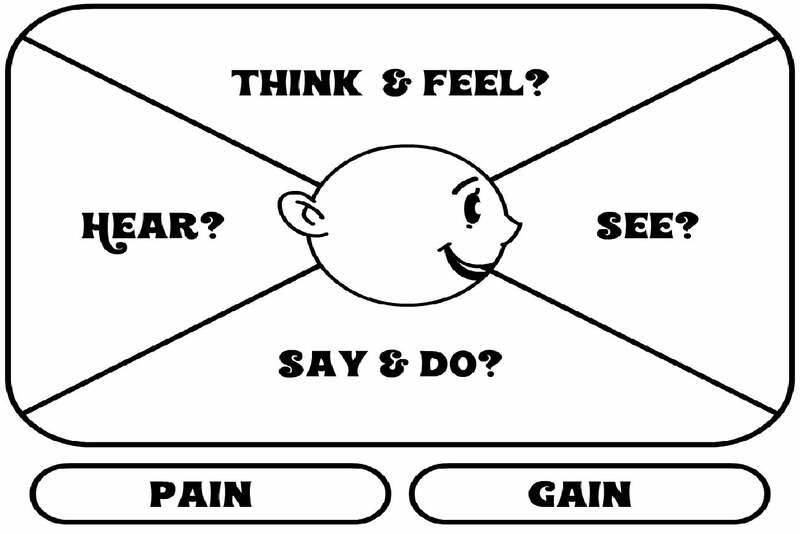 The customer empathy map is an excellent tool to understand your ideal customer's mind. It will help you know how they make decisions, who they are influenced by, what they want to achieve, what their pain points are, and more. What Is A Customer-Empathy Map? The best way to create a customer-empathy map is to draw it on a sticky board and use sticky notes of different colours to fill out the different sections. What is the environment of your customers? Are they in the private environment or in the public environment? In their daily jobs, whom do they talk to? What products do they see? In this section, you need to put everything your ideal customers possible can see. You customers must be having co-workers, friends and family members. In this section, you will fill out who and what influence your customers. Do they listen to their family members to buy any product? Do they turn to their co-workers to make a purchase decision? Also, this section includes the channel your customers use to acquire information about any product. This section mainly includes what your customers feel. Find out what makes your customers happy, what their concerns are, what their worries are, etc. To connect with your customers at the emotional level, it's very important to know what they feel. In this section, you will document what your customers say to others. And what they do after their conversations. Can your customers influence others? How your customers portray themselves in front of others? Do they take pride in flaunting what they use? In this section, you need to fill out the pains and gains of your customers. The pains of your customers include frustration, fear, and obstacles. And the gains of your customers take in their goals and objectives. Now comes the most important part -- to gather information for the map. My friend, creating a customer-empathy map is a group activity. You need to collaborate with people from the different departments of your organization. And you will have to do social listening to find out how customers interact with your brand and your competitors. Google Analytics can provide you with the useful insights into your customers' behaviour. You should gather data and input from as many sources as you can. Remember, a customer -empathy map is one of the best tools to enter your customers' minds. If you get the insight into what your ideal customer sees, hears, thinks, says, and gains through their pain, you can easily create marketing strategies that are sure to yield great results.